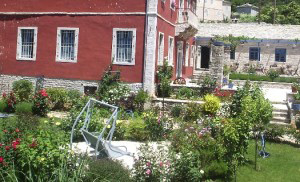 Shore accommodation in combination with a sailing holiday. Many people like to combine a sailing holiday with some days ashore. We can help you find some real special places that we know from living in this area and warmly recommend. Cosy cottages in a wonderful garden. 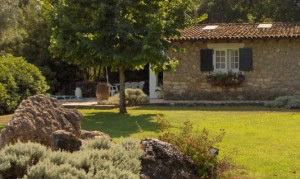 At Casa Lucia you find a beautiful garden with swimming pool and cosy little cottages of different sizes. Central at the island of Corfu. Perfect for daytrips in all directions. Only 10 km from Corfu town. Nice restaurant (Lucciola) at walking distance. Perfect place to relax some days on land before you start your sailing holiday. Agrotourism in the South of Corfu. 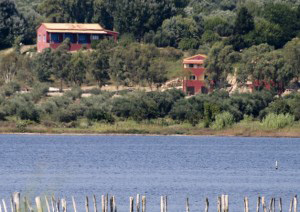 Near the lake Korisson in the middle of nature there are 2 villa’s for rent at the eco farm with restaurant Bioporos. Kostas and Agathi and their family show you the traditional Greek farmlife. Food in the restaurant is all biological and traditional. The farm has olives, bees, vegetables, chicken and other farm animals. In the bathroom of the villa you find home made olive soap. The family likes to share their knowledge of living in nature and shows you the way for nice walks. For both accommodations it is recommended to hire a car. At about half a day’s travel from Corfu you find the Pindos mountains with the deepest gorge on earth (Vikos) and peaks of nearly 3000 meter. Traditional villages, wells and clear rivers. Old stone bridges, authentic monasteries, pure nature and peace. And in the middle of all that the hotel Porfyron. From here you can make daltrips to Dodoni, Meteora , caves near Ioannina, or just walk in the beauty of Zagoria .